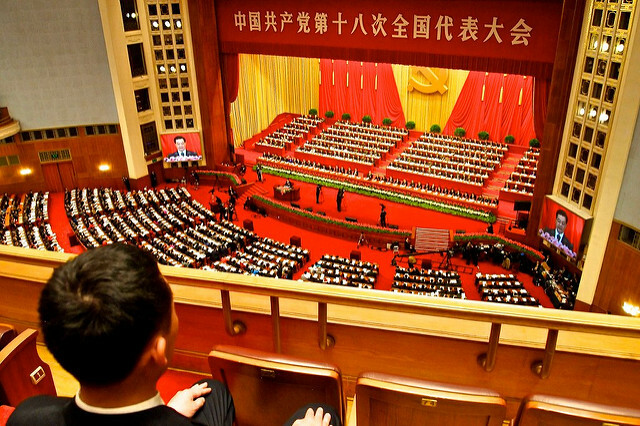 Three weeks ago the 6th annual plenum of the 18th Chinese Central Committee was held in Beijing. Due to their highly political nature, these secretive meetings, often held behind closed-doors, are systematically subject to heavy speculations. This gathering of 25 members seemed to have Party discipline for main focus, and resulted in the attribution of the status of “core leader” to Xi Jinping. Regulating and supervising practices of party members to reinforce unity behind him is a consequence of Xi’s consolidation of power. Since the end of the Cultural Revolution, the Chinese Communist Party has derived its legitimacy from two things: the ability to deliver economic growth and stability after years of disorder under Chairman Mao. Yet recently, China has witnessed a major economic slowdown, rising debt and loss of investor’s confidence. As economic growth lost some of its vitality, the Party had to rely harder its other source of legitimacy: political stability. For fear of appearing fragile, Xi has strengthened his grip on power, and the Chinese administration appeals to nationalist sentiments by boasting on the international scene. Xi’s lasting anti-corruption campaign turned out to be double-sided: while it was first intended to get rid of the threatening corruption under Hu Jintao and bring intra-party order, its second purpose of gaining popularity and acquiring support took over when economic growth started to slow down in 2014. Certainly, Xi believes he is the only one capable of bringing the country to another stage achieving further the rise of China. This would make him China’s “transformative leader” of the early 21st century, as Deng Xiaoping was in the late 20th century, although in his own way. Deng unleashed China’s economic potential and initiated its takeoff. It is Xi’s mission to reform the economy and revive the country. How exactly has Xi concentrated power? 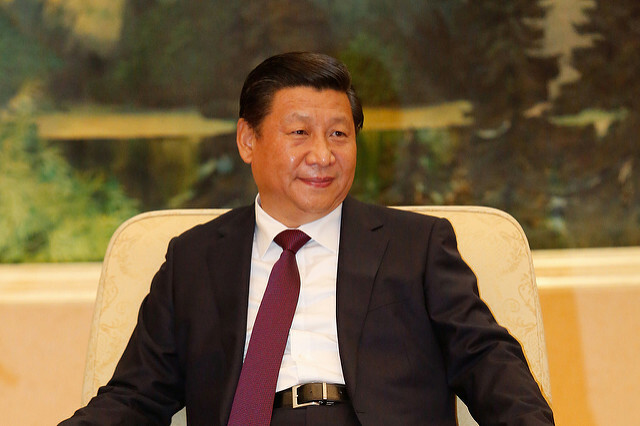 Within a year after his election as General Secretary of the Communist Party in November, 2012, Xi controlled the three most important areas of Chinese politics, namely the party, the military and the state. He became General Secretary of the Communist Party and Chairman of the Central Military Commission (CMC) in November 2012, before being elected President of the People’s Republic of China in March 2013. In the military, he imposed his authority by restructuring an organization that was detaching itself from civilian control. In contrast, Hu Jintao only became Chairman of the CMC in 2004, two years after he became after General Secretary. Similarly, Jiang Zemin became President in 1993, four years after he became General Secretary and Chairman of the CMC. In Chinese politics, titles don’t necessarily come as bundles but are rather function of political struggles and power clinging. Moreover, his wide-ranging anti-corruption campaign, directed by the Central Commission for Discipline Inspection (CCDI) under Wang Qishan, has been targeting rival factions within the Party such as Bo Xilai and Zhou Yongkang. This spectacular downfall, in turn, intimidates potential rivals and prevents their rise. Wang Qishan is often considered as the second most powerful man in China after President Xi. According to Tim Mitchell from the Financial Times, « a central element of Mr Xi’s power grab has been his use of the party’s “leading groups” (…) to co-ordinate policymaking and implementation across government agencies ». For example, Xi himself has been increasingly involved in economic affairs, traditionally the responsibility of the Premier, and is a director of many of these leading groups. The leading group for financial and economic affairs has gained increasing power over the State Council and the Ministry of Finance. The status of “core leader”, which sounds oddly familiar to the Leninist concept of democratic centralism, elevates him to the levels of Mao Zedong, Deng Xiaoping and Jiang Zemin who all received this status. Jiang Zemin however, gained this title in particular circumstances. Zhang Ziyang, who was then the General Secretary, was side-lined due to his support to protestors on Tiananmen Square in 1989. Even though he lacked political credentials, Jiang Zemin was propelled Party secretary. He hence needed undeniable authority to face these tough challenges. Similarly, Xi is confronted with equally, if not more, robust challenges. Crowned with this new status, Xi will arrive in a position of force at the 19th Party Congress next year to negotiate the economic reforms and political ones – if any – he wants to implement. This plenum was indeed supposed to give broad indications for this major event. Speculations have focused on a potential reshuffle of cards at the top of Chinese politics and this, on several fronts. The first rumour is that Xi Jinping would delay his retirement, and serve a third term as Secretary General of the Party from 2022 to 2027, thereby markedly ending the practice of collective leadership that dominated Chinese politics. «The Constitution requires that he retires after two terms as president, but there is no limit on the more powerful job, general secretary of the party » says Chris Buckley in the New York Times. Xi Jinping reinforced this position by creating two new bodies under its control: the National Security Commission, in charge of the policy directions for national security, and the Central Leading Group for Comprehensive Deepening Reforms, in charge of the agenda for economic reforms. This would preserve Xi’s direct influence on policy-making. Potential scenarios are further explored by Willy Lam in his article for Foreign Policy magazine. This leads to the second rumour: the unwritten rule of qishang baxia (“seven in, eight out”) would be disregarded. Until now, it has meant that leaders aged 67 years old could still climb the Party hierarchy but the ones of 68 years old had to step down. Debate exist as to whether this rule has much important but what remains certain is that this would keep Xi’s Cerberus in place. Wang Qishan is, in fact, supposed to step down next year as he will be 69 years old. In itself, breaking this norm wouldn’t harm collective leadership. Another speculation, related to Xi delaying his retirement, is his selection of successors. Removing the retirement rule would allow him to take more time to pick the right successors from his faction. This would explain why he doesn’t seem to have picked anyone as it should be. By contrast, Willy Lam explains that «not long after ascending to the elite Politburo Standing Committee (PBSC) in 1992, Hu started preparing to elevate fifth-generation cadres, including Xi Jinping (then Zhejiang province party secretary) and Li Keqiang (then Liaoning province party secretary and now China’s premier) to the 25-member ruling body, the Politburo. He also elevated slightly lower-ranking officials: By the mid 1990s, roughly 20 fifth-generation rising stars had achieved the rank of vice minister or above». Finally, it could be decided to cut the number of Politburo Standing Committee members from seven to five. This would happen only five years after the 18th Party Congress reduced this number from nine to seven. Two members would automatically be Xi Jinping and Li Keqiang. Since the five other current members will be over 68 years old next year, President Xi would have the liberty to fill the three remaining seats with members from his own faction. This would be the last hit to the notion of collective leadership that has prevailed.